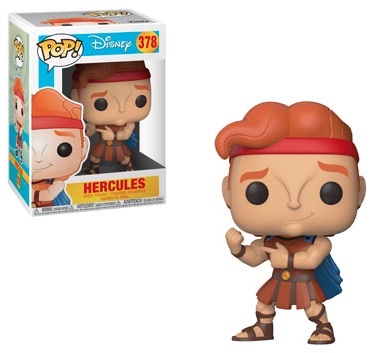 Although a little late to the Disney vinyl world, Funko Pop Hercules makes up for lost time with a strong lineup surrounding the legendary hero. The 1997 animated film Hercules features the Disney take on several key subjects from Greek mythology. 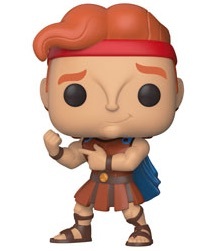 The title character Hercules comes dressed in leather gladiator gear, with a red headband, sandals and blue cape. 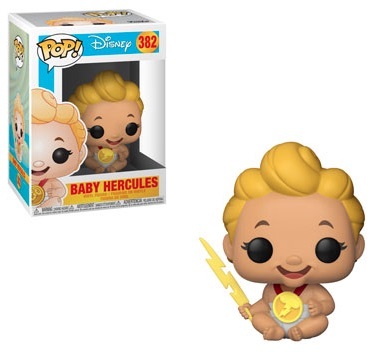 Offering a second edition, the glow chase variant adds a little intrigue to Funko Pop Hercules. For those that don't remember, the main voice work for Hercules was provided by Tate Donovan, while Ricky Martin supplied the singing. 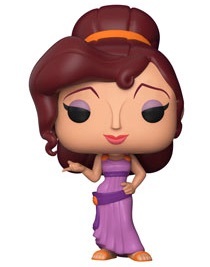 Shop Funko Hercules Figures on Entertainment Earth. 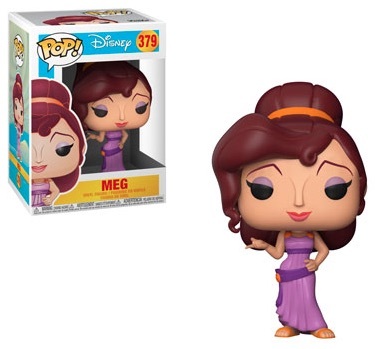 Other Funko Pop Hercules options include Megara (a.k.a Meg) and Philoctetes (a.k.a Phil), voiced by Danny DeVito, plus baby versions of Hercules and the winged horse Pegasus. 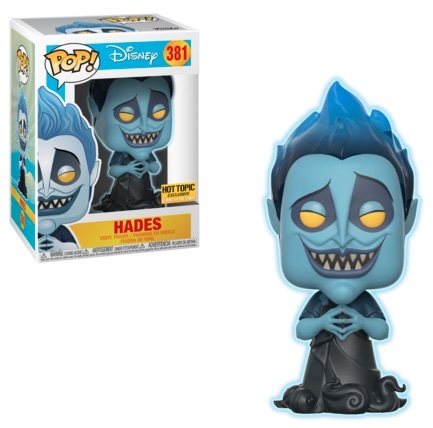 The evil Hades (James Woods) gives the story its villain, as is made clear by the menacing blue figure. 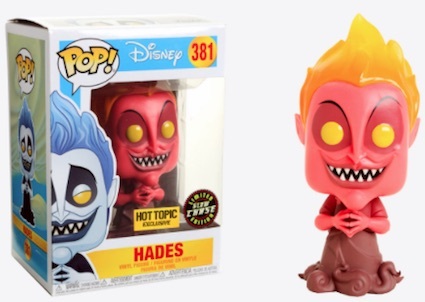 Hades has an exclusive glow version at Hot Topic locations, and a Red chase, as well. 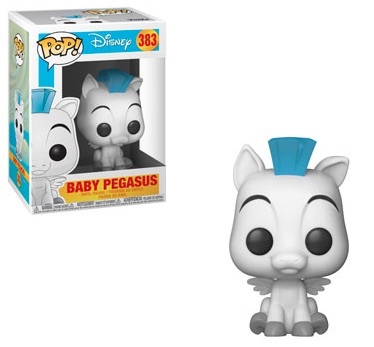 In addition to the main choices in Pop! 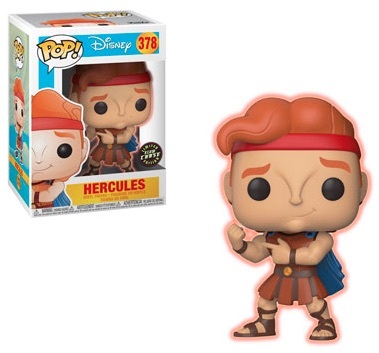 Disney, the Funko Pop Hercules set also features a larger Pop! 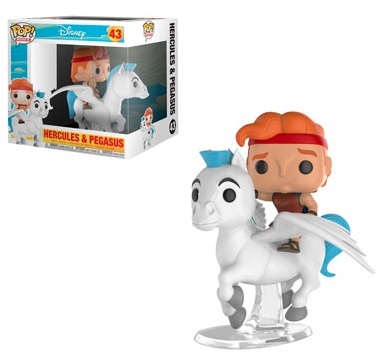 Rides figure pairing Hercules and Pegasus. CHASE! 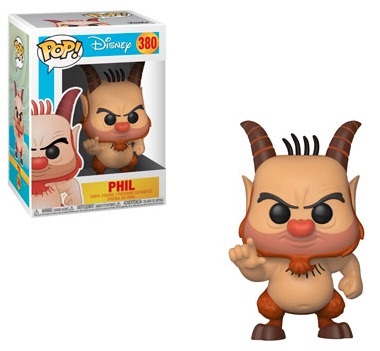 Funko Pop Disney Hercules #378 Chase LIMITED EDITION New Rare! Hades POP Vinyl Figure #381 Disney Hercules Funko New! 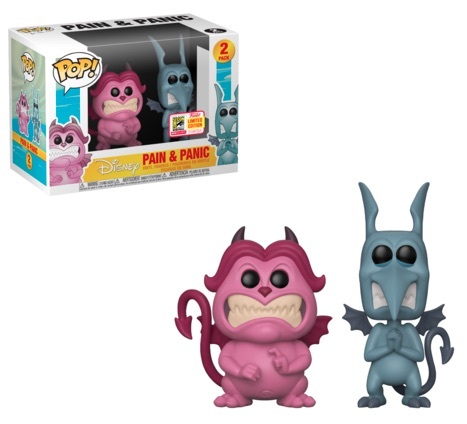 Click on the images or listings below to shop for figures on Amazon or eBay.